Are you after a bike bell but cant’ decide which one to get? Well that’s normal because today there are hundreds of bike bells available in the market. You’ll also see a lot of imitation bells as well as other cycling accessories. But let me warn you first, not all are of good quality, especially those and other cycling accessories you buy off AliExpress. So it’s best to stick with brands who are well-known for their quality. Here are 11 of the best bike bells available today. 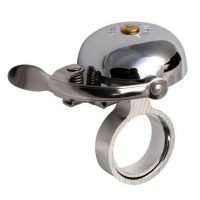 You might want to consider the Bonmixc Brass Mini bell if you’re on a tight budget. The lower price doesn’t mean it’s not quality stuff. 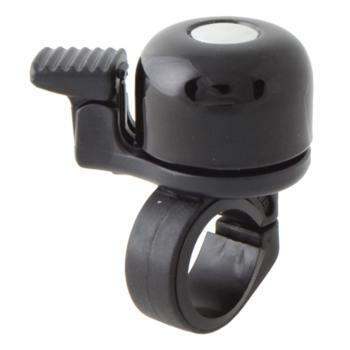 I would say this is the most value for money bicycle bell if you’re not after anything with a fancy design. 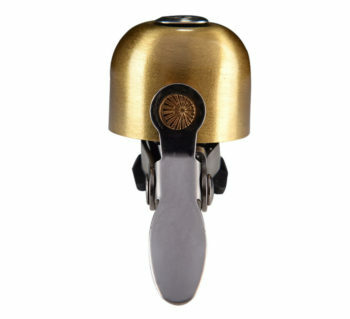 Amazingly, the Bonmixc Brass Mini bell is full of with excellent reviews at Amazon. It has a dome made of brass can fit only up 23.0 mm handlebars. The RockBros Retro bell made it to the list for it’s value for money. So if you’re looking for a cheap yet good quality one, it’s this one. It’s made of stainless steel and currently available in 4 colors – black, silver, gold and copper. Likewise, this one is in mini size, weighing only 44 grams. It’s one size fits all, so you don’t have to worry about your handlebar diameter. As its name implies, this is a fully adjustable bell. It can fit bars of almost any size, from 15mm up to 39mm. You can also adjust the dinger to any position around the dome to fit where you finger or thumb is. It comes in 2 options; black or silver dome. The Knog Oi is definitely the most unique in terms of appearance. Another distinct thing about this bell is the sound. It has one core pitch tone along with several pitch tones to ensure that you’re heard while riding your bicycle. It comes 4 color options – brass, copper, black and aluminum. And they’re super lightweight at only 18g! In addition to that, Knog Oi is available in two sizes; the small size can fit on 22.2 mm handlebars only, while the large size fits from 26mm to 31.8 mm handlebars. Furthermore, it’s one of the best cycling gifts you can buy for a friend! 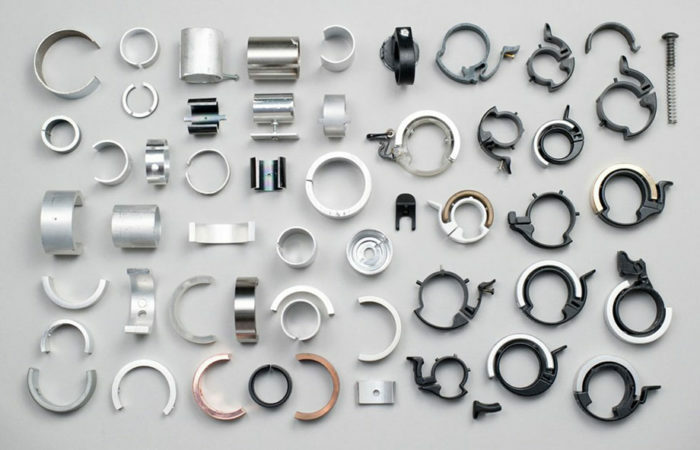 This Japanese based company has been in the bike bell business for more than 20 years and is well known for their polished designs. With their most popular bell, the Crane Ne, it comes with a resonating sound. There are two colors available; polished copper and matte black alloy. 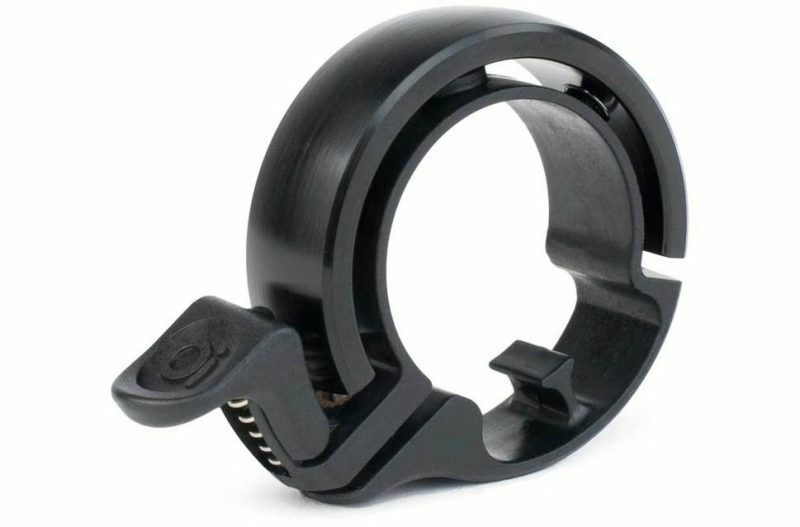 It comes with a single size and can be mounted on handlebars from 22.2mm up to 31.8 mm using an adjustable mounting band. 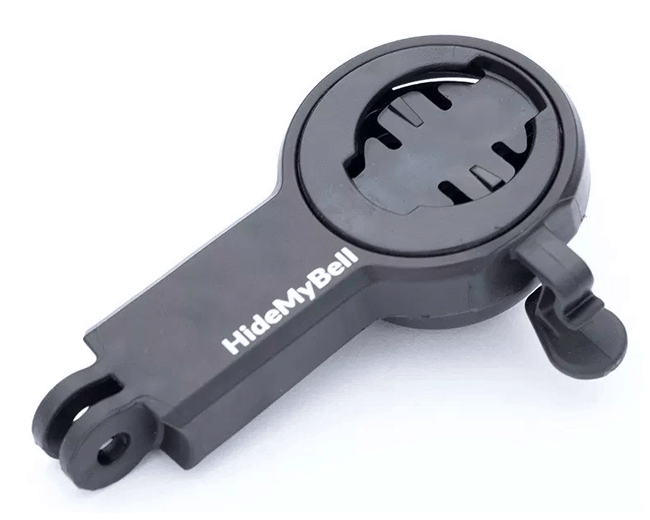 The Hide My Bell is a clever 2 in 1 combo of a Garmin/Wahoo Element mount and a bike bell. At 47 grams, it’s even lighter than some of the aftermarket Garmin or Wahoo Element mounts. The bell is located just below the mount and if you look closely, you’ll spot a little dinger there. Take note that it’s only compatible with 31.8mm bars only. You still can fit on narrower bars if you’ve your own shims. The Crane Suzu is among one of the rare bike bells still made in Japan. Osaka to be specific. As with most Japanese products, it’s solidly built and the quality is top notch. All the parts are constructed from steel and the dome is available in both shiny copper and brass finish. You can easily polish them should the finishing wears out overtime after being exposed to the elements. 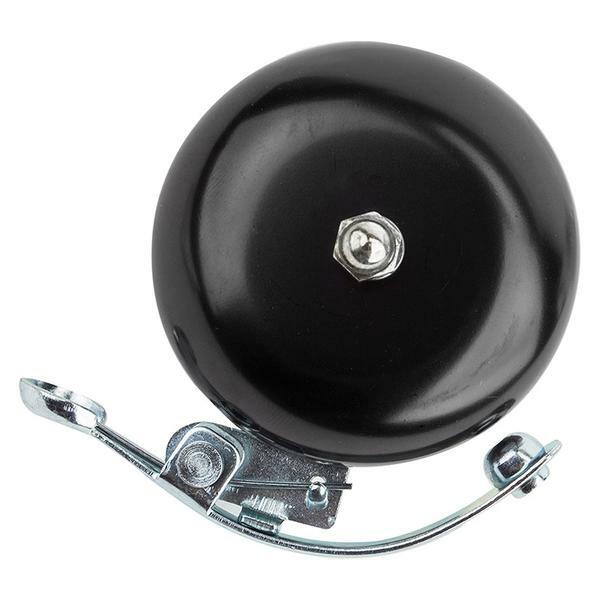 The Origin8 Time Clock is another solidly built bike bell. 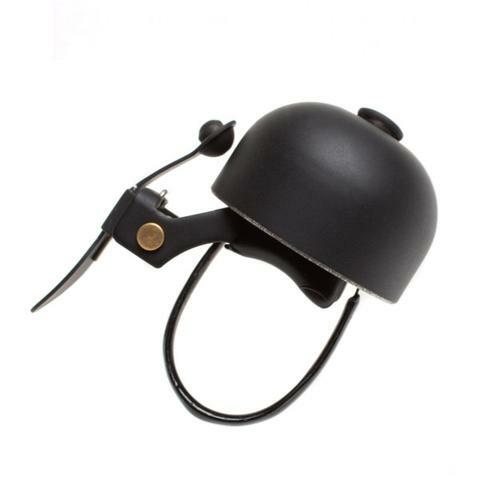 The dome is made of brass finishing for that oozes the classic bike bell look. It’s very reliable with only 1 moving part. All parts are made of metal and it gives out a loud and clear tone that lasts for around 3-4 seconds before fading off. Take note that it only fits handlebars up to 25.4mm. The Timber! bike bell is unique in the way it works. To start with, you don’t need to press the striker to ring it. It’s designed to ring by itself. Hence, the more bumpy the terrain is, the more it rings. On smooth asphalt, it’s dead quiet. If you want to ring it, you’ll need to give the handlebars a brief shake. In my opinion, it’s best used to off-road riding. It uses a tool-free mounting system and fits all types of handlebars. 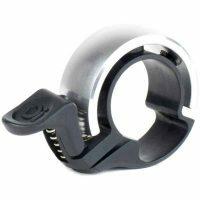 There’s a rubber O-ring that stretches over your handlebars between the two ends of the bell. Unlike most bells, the Alexander Graham Bell (yes, that’s the name) mounts on the steerer tube instead of the handlebars. 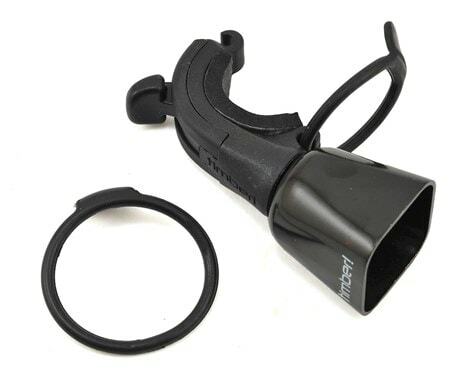 If you already have a crowded handlebar, then this bell could be a solution to that. It’s made of solid brass, giving it a distinct and loud sound that ensures you’re heard. It’s also one of the best sounding bells with the ring lingering around for a good 3-4 seconds. 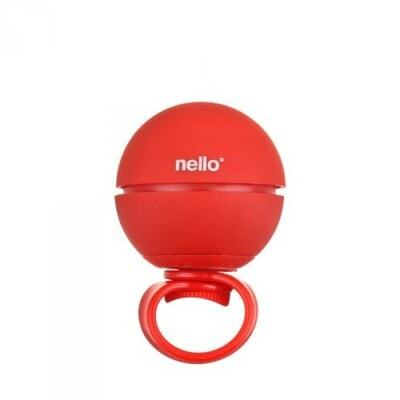 The Nello Bike Bell is a little sphere. It uses magnets to attach to a bike mount. You can easily detach it once you’ve parked you bike and keep it inside your bag or pockets. Unlike other bells, this is an electronic bell and it’s powered by 2xCR3032 coin batteries. There are 3 different unique ringtones that change automatically each time you mount/dismount it. To ring it, you’ll just need to touch on it. Easy. 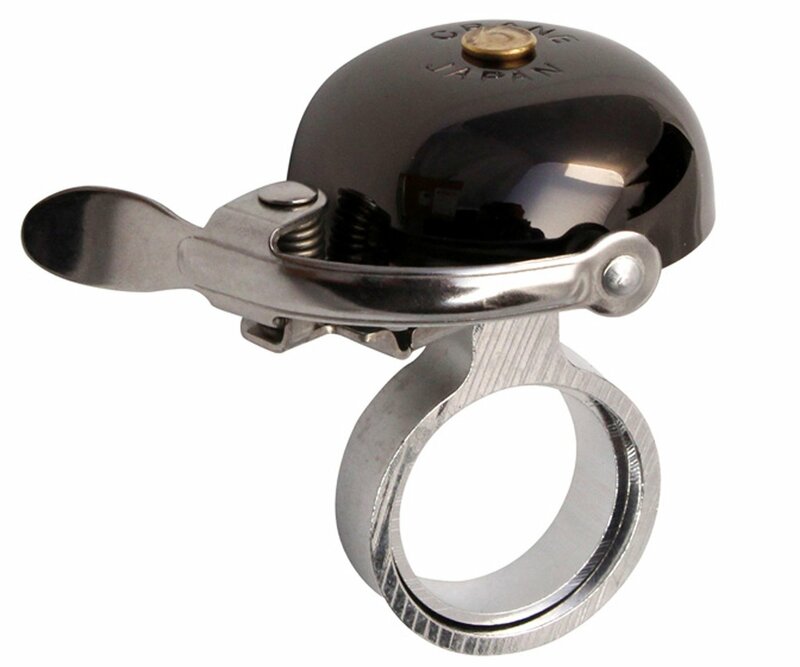 Bicycle bells today come in different sizes, weight and most importantly, the sound range. The first and most important thing to consider is the sound. Designing a bicycle bell that have the perfect sound requires a lot of trial and error and user feedback. Each bicycle bells have their own unique sound. Others have a single ding! that seems as if it came from an orchestra, while there are others that sound like an ice cream bell when flicked. 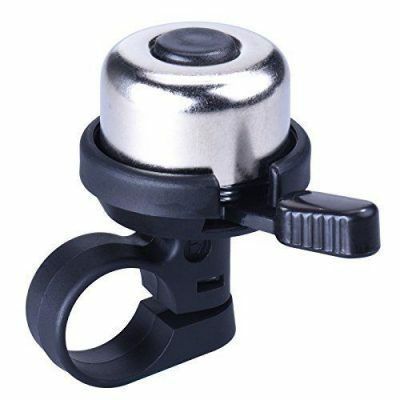 Remember, the main purpose of a bicycle bell is to alert people; therefore you should choose one that is loud and clear. Another important to consider is your handlebar diameter. Some bicycle bells has a one size fits all mounting, while some others have different sizes, depending on the diameter of your handlebars. Road Bikes – Drop Bars (31.8mm). Road bikes of the last 10 years uses a 31.8mm diameter drop bar. Some drop bars’ diameter might taper down to 23.8mm towards the drop. Since you’ll be mounting the bell near the stem, go for the 31.8mm diameter. Mountain Bikes – Flat or Riser Bars (22.2mm). With flat bars or riser bars, you’re looking at a 22.2mm diameter handlebars. This is the diameter just beside your hand grip and not near the stem, which can be 25.4mm or 31.8mm. Commuter Bikes – Flat, Drop, Mustache, High-Rise, Randonneur, Multi-position (Diameter varies). 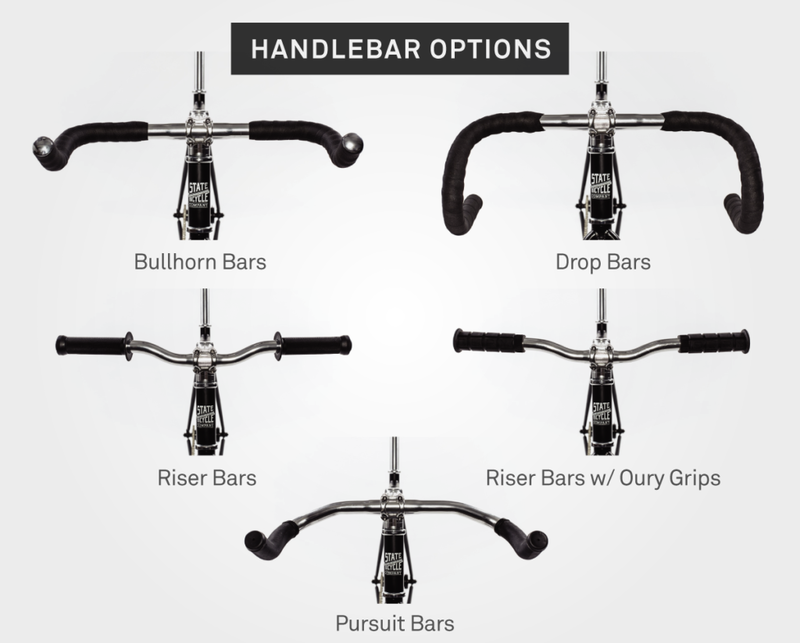 There are a variety of handlebars for commuter bikes depending on the cyclist’s needs. So, there is no one size fits all diameter. You’ll have to check the handlebar specifications for this. Kids and BMX Bikes (22.2mm). These bikes uses a 22.2mm handlebar, so it’s a straightforward decision.